Written with great humour, irony and honesty, The Way of All Flesh exploded perceptions of the Victorian middle-class family in its radical depiction of Ernest Pontifex, a young man who casts off his background and discovers himself. The awkward but likeable son of a tyrannical clergyman and a priggish mother, and destined to follow his father into the church, Ernest gleefully rejects his parents' respectability, and chooses instead to find his own way in the world. Samuel Butler (1835-1902) was an author, literary critic, philosopher, painter and translator of Homer. After a disagreement about his career with his father, a clergyman who had been pressured into joining the Church by his own father, Butler left England to become a sheep farmer in New Zealand. The letters he wrote to his father from here formed the basis of his utopian satire Erewhon. 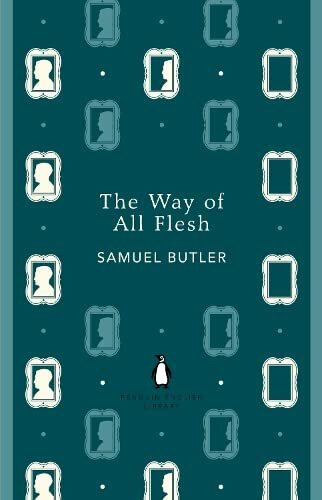 The Way of All Flesh, a semi-autobiographical exploration of Victorian family life and indictment of Victorian hypocrisy, was published posthumously in 1903.